Police called the dad, Larry E. Dow, who during the conversation told an officer he would return to the home with his gun once officers left to kill his son. 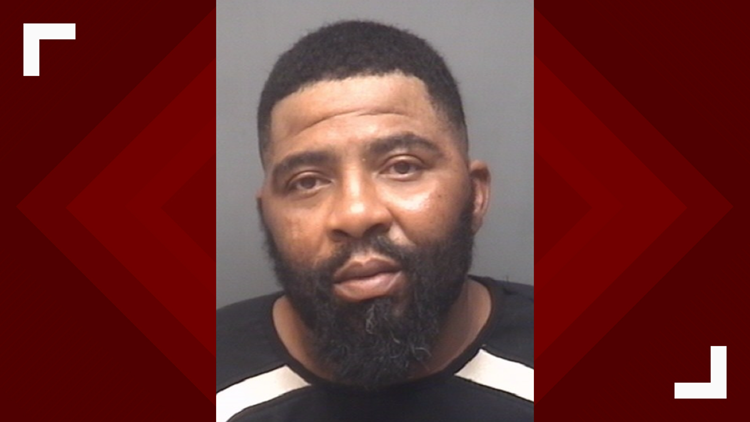 HIGH POINT, N.C. — A 52-year-old man was arrested after High Point Police Officers say he threatened to shoot and kill his son Sunday. Officers responded to a disturbance call between the father and adult son around 6:16 p.m. to a home on Brentwood Street. The son was assaulted with a knife, evidenced by the laceration on his left wrist. Police called the dad, Larry E. Dow, who during the conversation told an officer he planned to return to the home with his gun once officers left to kill his son. Police found Dow at his home on Terrell Drive in High Point and found him sitting in a vehicle. A loaded Hi-Point semi-automatic handgun was found in the front passenger seat and seized. Dow was charged with Assault with a Deadly Weapon, Communicating Threats, Carrying a Concealed Gun, and Misdemeanor Possession of Marijuana. He was confined to the Guilford County Jail under a $100,000 secured bond.